Rage 2 is a new action first person shooter developed by ‘Avalanche studios‘ and ‘Id Software‘. It is coming out the 15th May on the Xbox One, PS4 and PC. This game is suppose to be bigger, more action and more rage than before. Let’s take a look. There is quite a bit of information on Rage 2. Rage 2 is set in the year 2165. So basically 30 years later from the first Rage game. There has been some positive changes to the world as humanity has found a way to change parts of the wasteland into tundras, jungles and even wetlands; however the ways and mindset of the people haven’t changed. Gangs now want control of these areas for their resources. The authority is back in Rage 2. Just a reminder, they are the main enemy of the previous Rage game. They have a much higher level of technology than the other factions so they are more dominate than them and are a bigger threat. For example the Authority’s troops have personal energy shields and also recharging stations. The authority is fighting everyone and anyone who doesn’t agree with them or gets in their way. The players take control of Walker, who is one of the last rangers. The rangers used nanotrite technology to enhance their abilities and weapons. The Rangers were destroyed by the authority. Off course Walker wants revenge. Players will face factions like bandits, mutants and even monsters who have no problems killing. You won’t fight like a normal person as there is a nice variety of weapons that can be upgraded. Use nanotrites to trigger and use powerful abilities. There’s also the Overdrive which basically forces your weapons past their mechanical limits. These will be useful as the enemies vary in size too. 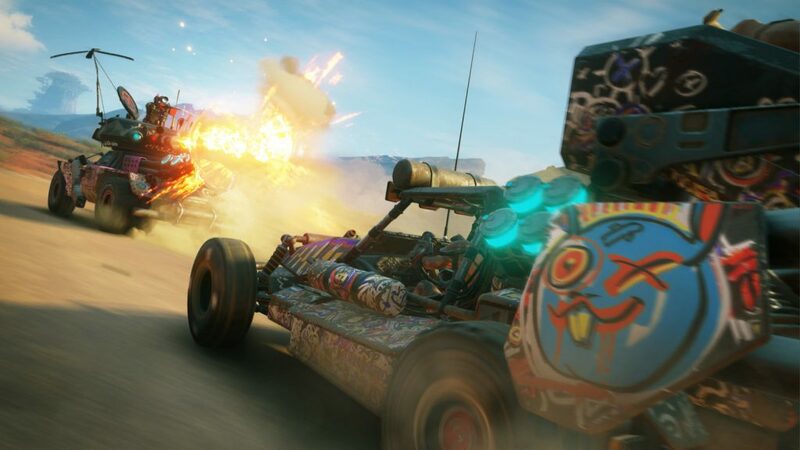 Vehicles are off course available in Rage 2. The official website claims that “If you see it, you can drive it.” So whatever wasteland looking vehicles you coke across is useable. We hope that’s true. Players can expect gyrocopters and off course monster trucks. 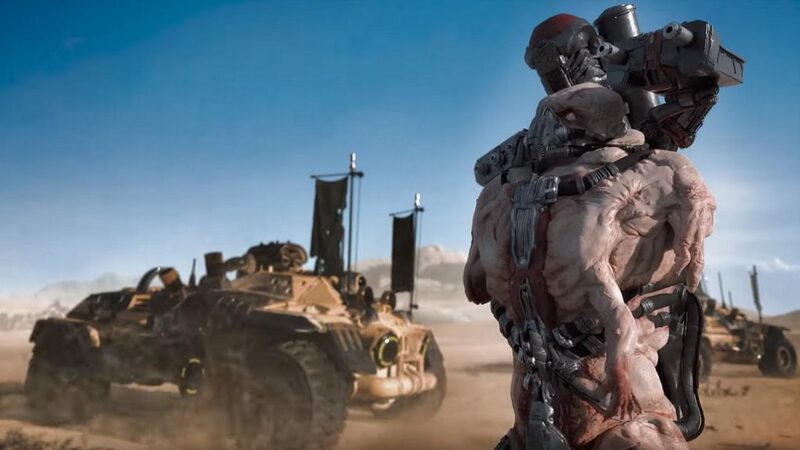 We must remember that Rage 2 is also an open world game. There is going to be a lot of areas, territories, battles, different environments and things to do. There is racing too. Not Crash Team Racing but explosive and dangerous. There are some crazy brutal events like Mutant bash TV. Explore cities where activities and life is happening. We checked out some Rage 2 gameplay and things don’t look as crazy and rage filled as we expected. It’s definitely wild and running over mutants with a monster truck can be fun (from personal experience). The gameplay is definitely action packed but what is quite concerning is that the Rage 2 world looks like the typical open world game. 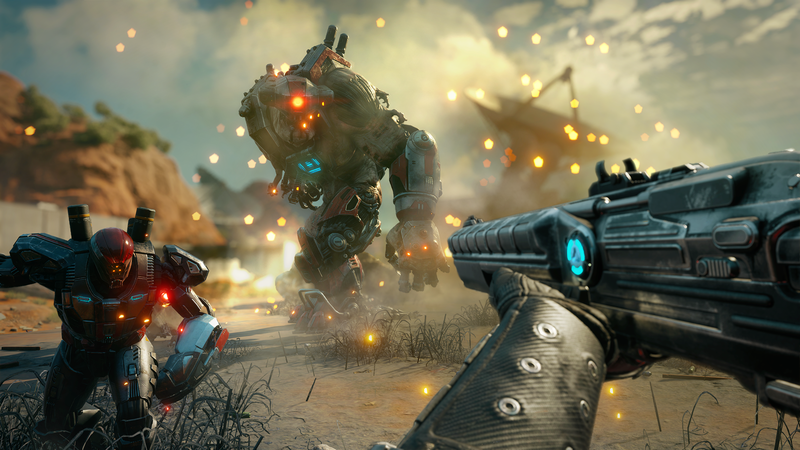 The question is what makes Rage 2 different from other open world games.